After a thrilling, roller-coaster ride that lasted five months, it was fitting that the 12-game Illinois Lottery Cup series between the Chicago Wolves and Rockford IceHogs couldn’t be decided until the final seconds. When the final horn sounded on April 14 at Allstate Arena, the Wolves owned a 5-4 victory over the IceHogs that gave each team six wins for the series. 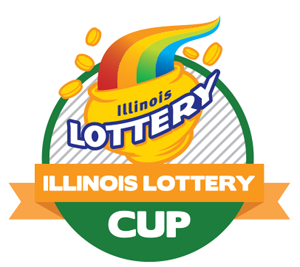 That forced the tiebreaker to come into effect and, with four overtime and shootout losses compared to Rockford’s none, the Wolves successfully retained the Illinois Lottery Cup trophy they earned in 2016-17. Rockford held a 3-2 series lead on Christmas Day, but the Wolves rallied to take a 4-3 lead by Valentine’s Day. Then the IceHogs reeled off three wins in a row, which forced the Wolves to win twice last weekend in order to keep the Cup. The top-seeded Wolves, who won the Central Division title for the second consecutive year, meet the fourth-seeded IceHogs in the first round of the Calder Cup Playoffs. Game 1 of the best-of-five Central Division Semifinals series will be held at 7 p.m. on Saturday, April 21, at Allstate Arena. The Wolves also host Game 3 on Thursday, April 26, and, if necessary, Game 5 on Monday, April 30.